An herb for all seasons, lavender has fragrance, flavor and a fascinating history. Pink, fluffy, sweet – cotton candy – takes me back to being a child at the Puyallup Fair. I picture snow-cones, popcorn, amusement parks, roller coasters and big cones of spun sugar. I remember vendors with bunches of pink cotton candy cones. Back then, I begged my parents for this treat. When the sugar melted in my mouth, I was addicted. During Valentine’s Day, this memory came flooded back. I was reading the Seattle Magazine’s February issue when an article on cotton candy grabbed my attention. Spun, a new Seattle company, makes cotton candy in flavors such as lavender, Meyer lemon , rose and blood orange. I wanted to meet Cristie Schrader, the Seattle woman who created Spun and learn the story behind her inspiration. In late February, I was in Ballard on a cold, blustery day, sipping a latte in a coffee shop, waiting for Cristie to arrive. I was gazing out at the wind and rain, when I saw a woman crossing the street, holding an umbrella in one hand, and a celophane-wrapped cone of cotton candy in the other. .Cristie handed me her cotton candy as if it was a new-born baby. The delicate color and the lightness of the cotton candy reminded me of something from a sweet land of fairies. “I made this cotton candy last evening. Its shelf-life is only 24 hours.” Cristie said. 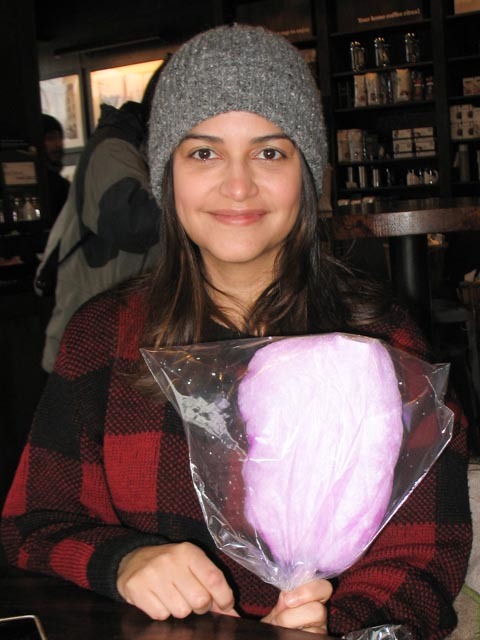 After snapping a picture of Cristie holding her sweet creation, I asked how she came up with idea of flavoring cotton candy with my favorite herb, lavender. She told me about buying cotton candy when she went to her favorite video shop. “They sold cotton candy in two varieties, blue and pink,” she said. Cristie discovered lavender in Seattle’s Fremont neighborhood when she treated herself to lavender gelato at The Royal Grinders restaurant. That was the day when her idea of bringing these two concepts together came to her. Lavender cotton candy seems like a match made in heaven. Cristie bought a cotton candy machine. She experimented with many concepts to infuse lavender’s exotic flavor into the sugary treat. Although she tested various ways to fine-tune the flavor, she was not satisfied. She put the project on hold for several years. Then Cristie became friends with Tilth chef David White. They started working together to perfect the lavender flavor. Anyone who has cooked with lavender knows the challenge of adding the floral flavor without overdoing it. When the delicate taste of the lavender met their high standards, they began to develop more flavors. Soon Spun was offering several new flavors such as rose, Meyer lemon and blood orange. Cristie’s aim was to bring her cotton candy out of the carnival scene and into elegant events such as wedding showers, weddings, girls’ birthday parties, spas, beauty salons and wedding shows as well as other corporate events. So what is cotton candy? When I was a kid, all I knew was it tasted heavenly. Now that I’m an adult, I am curious about it. Simply put, it is spun sugar and can be flavored in a zillion different ways. To make it, you need sugar, water, and flavoring. And unless you want white cotton candy, you will need food coloring. When the sugar is combined with the other ingredients and reaches the hard crack stage, 300° – 310° F, the syrup separates into threads. 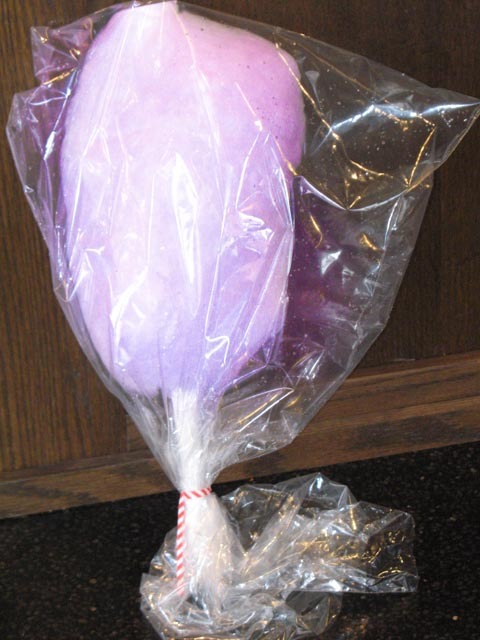 The best way to replicate the cotton candy – that many of us first experienced at the circus or the zoo – is to use a cotton candy machine. Macy’s, Home Depot or Bed, Bath and Beyond sell Cotton Candy Making- Machines. The price ranges from $69.99 for the Waring Professional model to as little as $39.99 for Nostalgia Electrics Cotton Candy Maker. This simple machine comes with a central container for heating the sugar mixture. It then rotates the sugar mixture. The centrifugal force propels the sugar through small holes so the sugar changes into fine strands. Then the spun sugar is gathered around a paper cone for easy eating. This delicate confection melts instantly in your mouth. 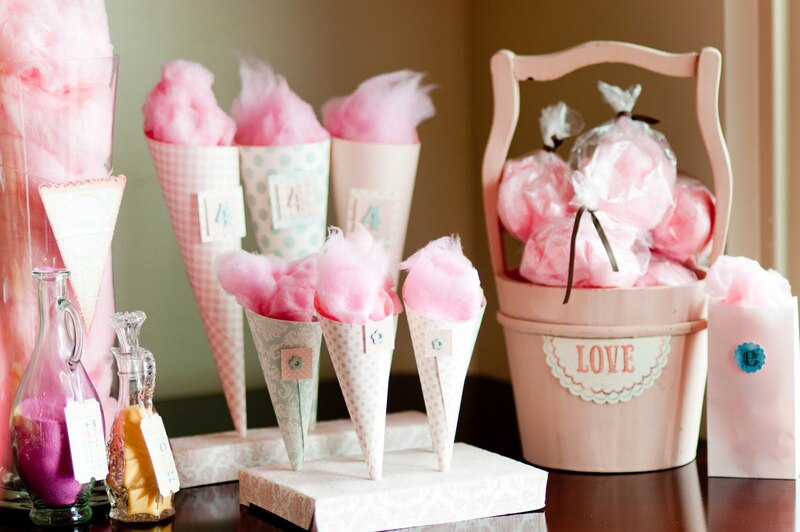 Home-made cotton candy invites you to tap into your artistic ability – use food coloring to get your favorite color, add flavoring to personalize the taste. 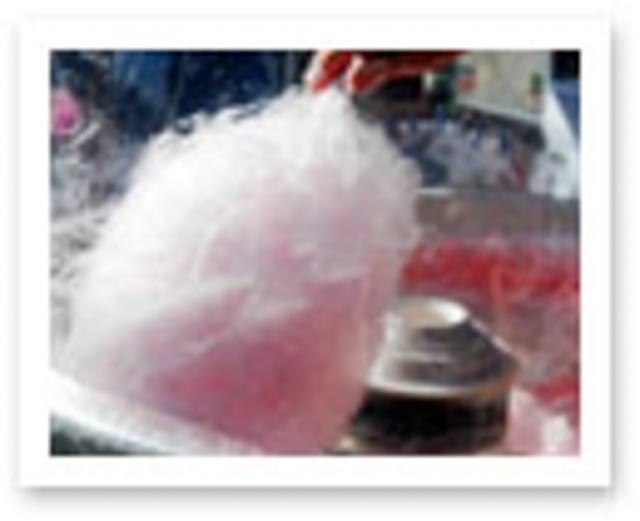 Cotton candy, originally known as Fairy Floss, was introduced at the St. Louis Fair in 1904. And now, thank you to Cristie Schrader, cotton candy has been updated for the 21st century. As I considered making cotton candy, I realized that this is not something I would make repeatedly. 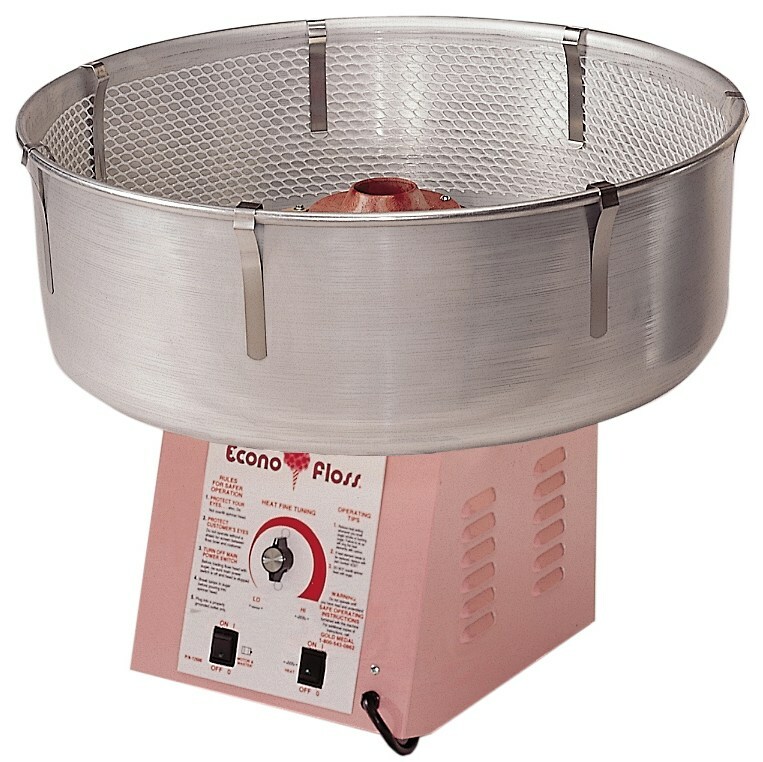 I did not want to store a cotton candy maker in my kitchen only to use it once every several years. 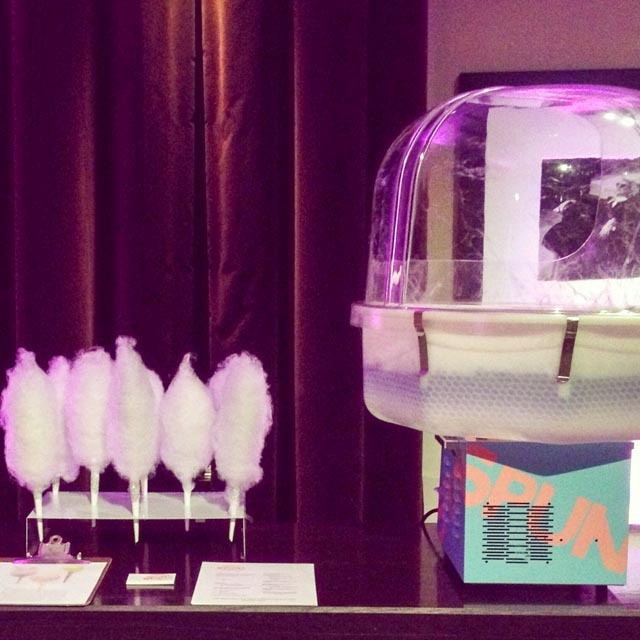 So when I want to offer this nostalgic treat at my summer parties, I will contact Spun to provide their cotton candy. And of course, my favorite flavor is the lavender cotton candy. I can’t help thinking what an impression this confection would make at a lavender festival. If you want Spun to provide cotton candy at your next birthday bash, or invite them to on-site at your lavender festival, contact Cristie at 206.817.5935 or visit her website at Spun. If you want to keep up with the happenings at Spun, follow them on Facebook. All Ready for the Party! As for me,I’m grateful to have discovered lavender cotton candy in the nick of time. In early July, my granddaughter celebrates her 10th birthday. 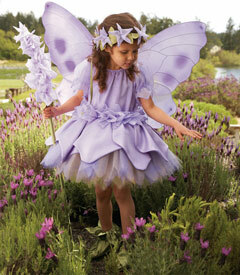 I can see girls dressed as fairies with pink and lavender gowns enjoying the sweetness of lavender cotton candy! Love this! A well-written piece that brings back so many memories. Oh MY! This sounds delightful!